Cian McBride's first-half goal inspired Meath to an impressive victory in Mullingar. There was little between the teams in the opening 20 minutes at the end of which they were tied at 0-5 apiece. However, once midfielder McBride slapped the ball to the net in the 21st minute, the Royal County looked the likely winners, and they went on to lead by 1-8 to 0-7 at the break. Two points from Luke Kelly and another by David Bell, all within 80 seconds of the resumption of play, increased the Royal County's lead to seven, and when Kelly flicked the ball to the net in the 35th minute, the game was effectively over. Westmeath goals from Ben McGauran in the 43rd minute (after his penalty had been saved by Sean Brennan) and Jack Torpey in the 58th minute put respectability on the scoreboard, but Meath were not flattered by their 13-point winning margin. 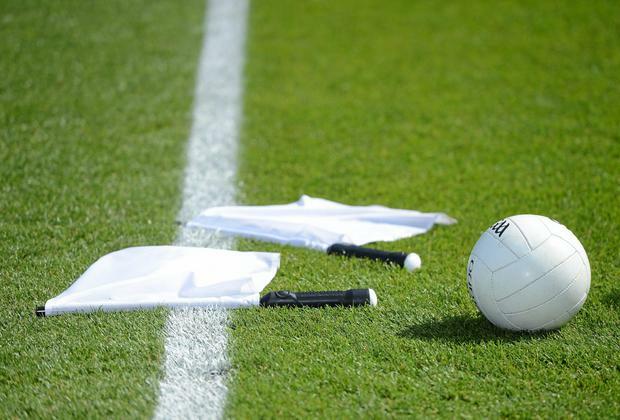 Scorers - Meath: L Kelly 1-2, B McCormack, D Bell (2f) 0-4 each, M Costello 0-3, C McBride 1-0, D Morgan 0-2, A Reilly, L Mitchell, B O'Hanlon (f), O McCloskey, C Hawdon 0-1 each. Westmeath: B McGauran 1-3 (0-3f), J Torpey 1-0, K O'Sullivan, S Fleming, L Moran, D Seery 0-1 each. Meath - S Brennan; J O'Hare, H O'Higgins, C Hickey; C Farrelly, C Harford, S Coffey; A Reilly, C McBride; C Hawdon, M Costello, B McCormack; D Bell, L Kelly, L Mitchell. Subs: O McCloskey for Coffey (38), D Morgan for Hawdon (49), B O'Hanlon for Mitchell (52), L Newe for Farrelly (52), D Swaine for McBride (55), A Treanor for McCormack (57). Westmeath - S Fagan; D Seery, C Daly, S Murtagh; J McDonnell, E Martin, J Torpey; A Cronin, E Gaffney; O Raleigh, L Brennan, S Fleming; K O'Sullivan, B McGauran, L Moran. Subs: A Donoghue for Cronin (44), J Coffey for Brennan (44), T Keena for McGauran (47), M McCormack for Martin (57), B Kelly for Raleigh (59), J Gahan for Fleming (60).